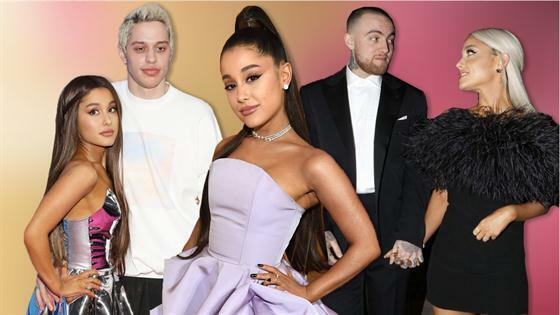 Ariana Grande Reunites With Ricky Alvarez While Declaring She's Dating "No One"
A masked Ariana Grande reunited with one of her exes the day she declared that she would probably not date anyone for the rest of this year...or her life. The 25-year-old pop star was photographed walking with Ricky Alvarez in New York City on Tuesday, New Year's Day. She wore a hooded puffer jacket, a skirt or dress underneath, and thigh-high boots, paired with a black mask covering her nose and mouth. The exes had dated for about a year until summer 2016. They sparked rumors of a reconciliation last month after Grande commented and complimented the dancer on an Instagram photo. She later wrote, "We're friends everyone take a big ol breather." Alvarez is one of several ex-boyfriends Grande mentions on her breakup song "Thank U, Next." Her latest ex, cast member and former fiancé Pete Davidson, is also mentioned on the track, which was released in November just minutes before he appeared in a live taping of his show Saturday Night Live. The two broke up in October following a whirlwind summer romance. On New Year's Day, a Grande came across a fan's post with the headline: "Who Is Ariana Dating NOW?! She tweeted, "Can they tell me too?" "Spoiler: for the rest of this year/probably my life: It's no one," she continued. "Please refer back to this tweet for future questions." Meanwhile, on New Year's Eve, Davidson, who left social media last month following a seemingly suicidal Instagram note, broke his silence about "Thank U, Next" on New Year's Eve. "That s--t came out before I had to put on a f--king duck hat and be like, 'derrrp here's the pizza!'" the comic said onstage at a comedy show. "So all my friends were there. It was a sad day. We didn't know it was going to happen." After "Thank U, Next" was released, a fan joked on Twitter that two of Grande's exes might be surprised to hear their names dropped. She responded, "They heard it before it came out."